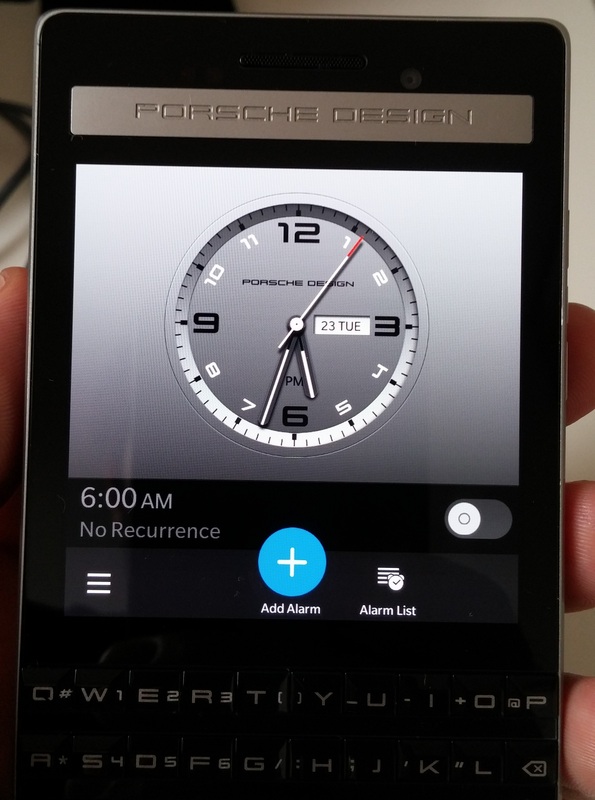 The thing about luxury smartphones – and if your phone says Porsche on it, it’s lodged pretty unarguably in the ‘luxury’ category – is that when you read reviews or opinions about them, it’s all a little far removed. I, nor (likely) you, am ever going to buy one of these phones. Take the once Nokia-owned Vertu handsets. They can cost tens of thousands of dollars, easily. Vertu’s not alone either, there are plenty of fashion and jewelry houses that are more than happy to bling up your standard smartphone with diamonds and other precious stones to catapult its value into the hundreds of thousands. Most people can’t spend such sums on a phone, but if you’re rich enough that dropping £1,400 (around $2,300 converted) on a handset is nothing to you, then you probably won’t want the Porsche-designed BlackBerry P’9983 either. It’s a bit too cheap for you. It’s not the all encompassing service that something like a Vertu promises, it’s just a slightly snazzier BlackBerry. 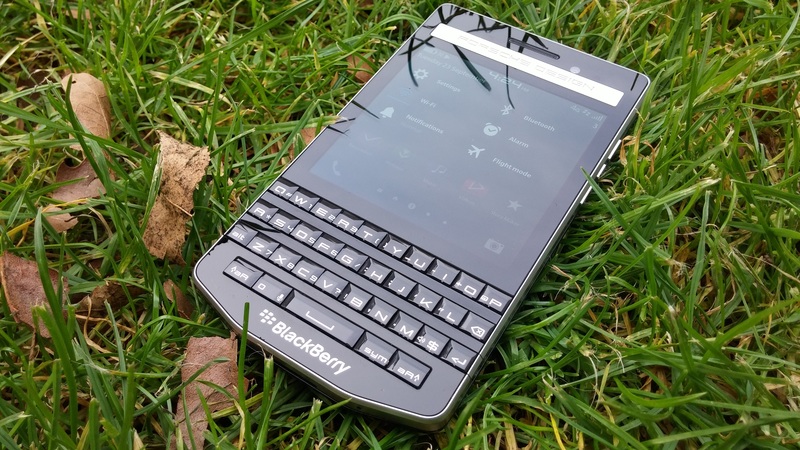 Don’t get me wrong, this isn’t a mass market device either – BlackBerry will probably sell tens of thousands of these globally – but at £1,400 it’s not going to scream the sort of luxury and glamour more discerning buyers would likely appreciate. And nor is it meant to. 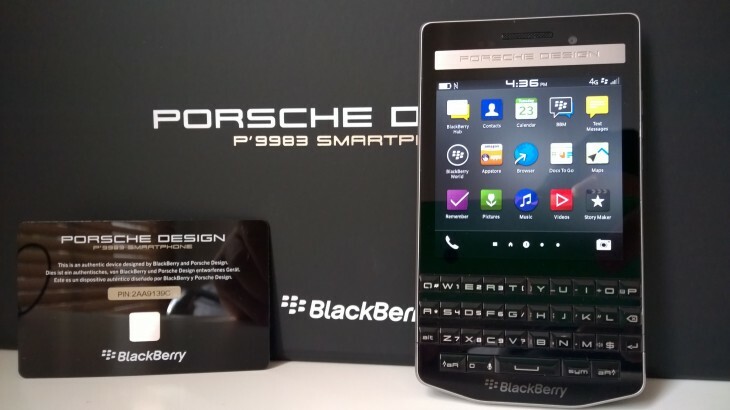 The P’9983 is the third co-branded Porsche-BlackBerry smartphone to go on sale – the first of which sold 170,000 units in two years – and it’s really aimed at BlackBerry’s affluent professional user base, for whom it helps set apart on the golf course, but without compromising the mortgage on the beach house. Expensive? Sure. 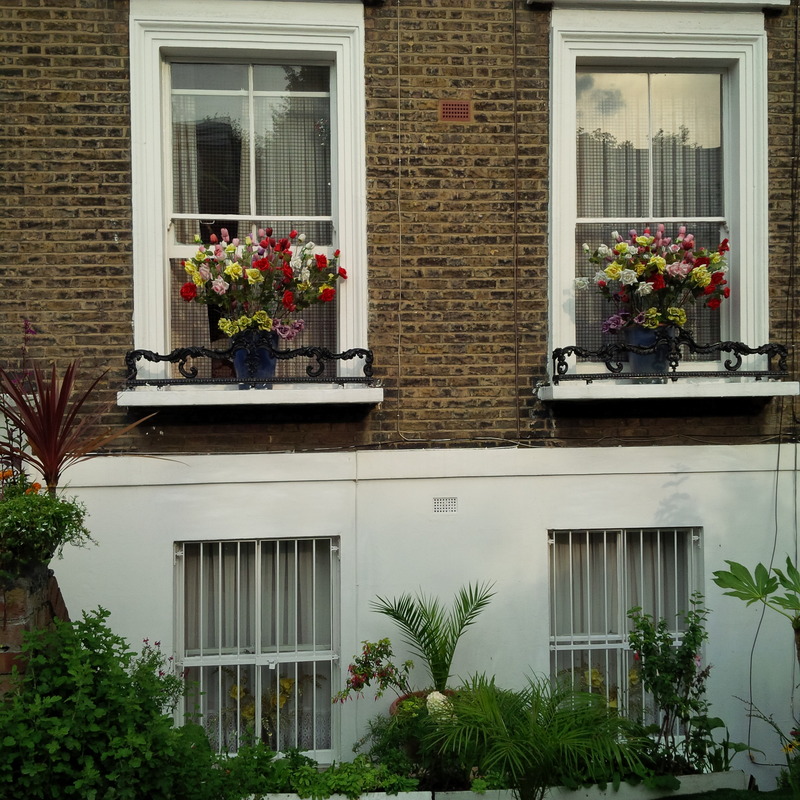 Prohibitively so? Not really. It’s the price of two new iPhones. For a phone that trades so heavily on its design, the P’9983 is notable in an understated way. It keeps to the same cues as earlier members of the Porsche-designed family – such as that angular bottom section – but this time around it’s a little shorter as it’s not an all touchscreen affair. 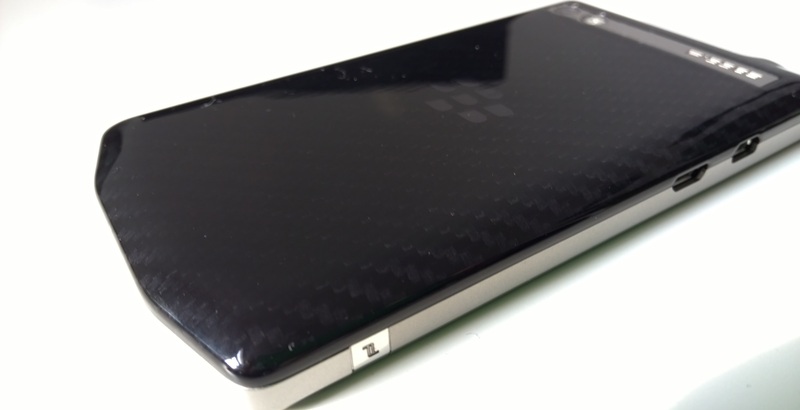 It’s actually based roughly on a Q10, while the previous version was based on a Z10. While you’re not going to find it dripping in outlandish diamonds, there are still some quality materials on board, like sapphire glass for the the camera lens and that forged stainless steel panel with the Porsche logo at the top – it’s fairly unmissable, by design. There’s also a return of the “glass weave” rear panel and at the top you’ll find another stainless steel panel, this time etched with the model number. To me, the glass weave looks and feels like normal hard plastic. It makes the same sound if you tap it with your nail too. 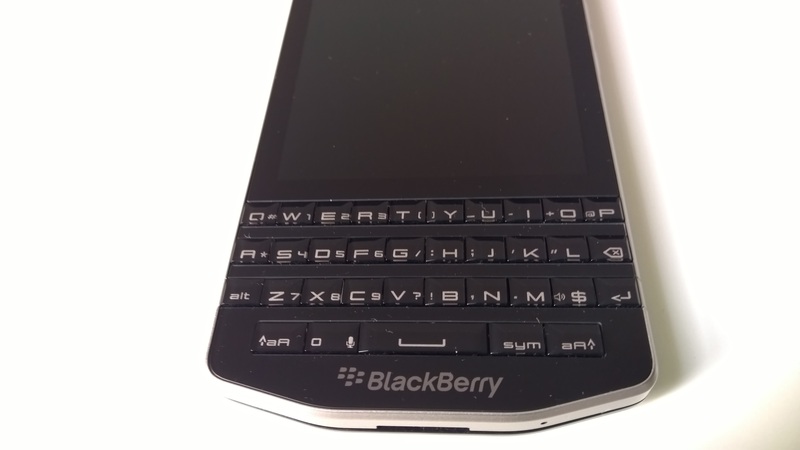 The touch screen is 3.1-inches and has a 720 x 720 pixel resolution and beneath it is a Qwerty with “glass-like” keys. In reality, “glass-like” is as close to glass as you get, and they feel like regular keys – albeit ones with a sort of 3D effect created by the shape and silver font characters. If you’re disappointed they’re not actual glass keys, just think how happy you’d be when you dropped it for the first time. Officially it measures up at 119 x 67.1 x 10.6mm, so it’s clearly not the slimmest handset on the market, but at 140 grams, it’s not the heaviest either. Weight probably isn’t the deciding factor for this device, either way. 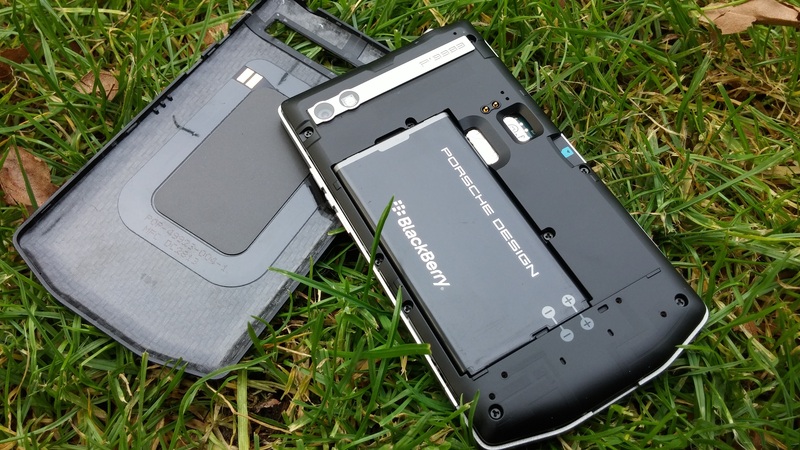 The rear cover is removable and this provides access to the SIM and microSD slots, which is handy if you want to augment the 64GB of on board memory with an additional (up to) 128GB. On the right side of the device are volume buttons and a little Porsche Design logo, while on the left is a microUSB for charging and a micro-HDMI for connecting up to a TV or monitor. Despite the lesser-seen screen resolution, it’s crisp and bright enough – but be under no illusions, it’s not going to be the best for consuming media. Sure, go ahead, watch YouTube or Netflix, it’s perfectly fine, you just might be used to a slightly larger screen or widescreen ratio. It’s the same deal for the camera too – there’s an 8-megapixel sensor, so it’ll actually take a picture, but it’s not going to be your finest hour. Having not spent a lot of time with the phone, it’s hard to say more at this point, but I can say that if you use the HDR functionality, then expect a long wait between shots. With it switched off, the camera is swift enough to capture. A couple of test shots below. Unexpectedly, the audio packed a bit more of a punch than I was expecting and is easily loud enough to annoy anyone sat nearby in the park, for example. Yes, there’s no huge audio range and bass is lacking, but there is some range and that’s more than many manage. Software-wise, the P’9983 runs BlackBerry 10.3, which means you get the full swipe-to-peek and BlackBerry Hub experience. Most likely, if you’re considering this phone, you’re probably already fully aware of BlackBerry 10’s capabilities and limitations. In post-iPhone history, the most notable limitation of owning a BlackBerry is missing out on your favorite apps, a problem that the company argues is largely fixed today and getting better every day. Most notably, one of the first things you’ll see is Amazon’s Android App Store – this isn’t a weird ‘BlackBerry version’ of the store either, just straight-up Amazon. On the one hand, this means there are loads more [Android] apps available for BlackBerry 10 than previously, and on the other it’s still missing many of the ones that you’d I’d want to see. Yes, there’s Skype and Facebook and WhatsApp and [insert big name app here] but the password manager that I use isn’t available, which means I could never switch to BlackBerry 10 permanently. Almost no one adopts a BlackBerry-first mobile development strategy. Without doubt, as a pure communication platform, it’s hard to beat. It’s efficient, quick and mostly reliable. What it’s not is exciting, or beautiful, or inspiring, which is why BlackBerry struggles to win over a consumer market. That and a lack of apps. Personally, I’m just not used to a physical Qwerty keyboard on a phone anymore, and it’s not worth the sacrifice of the additional screen real estate, but I’m well aware that some people swear by them. If you’re in this camp, you’ll be happy with the P’9983. 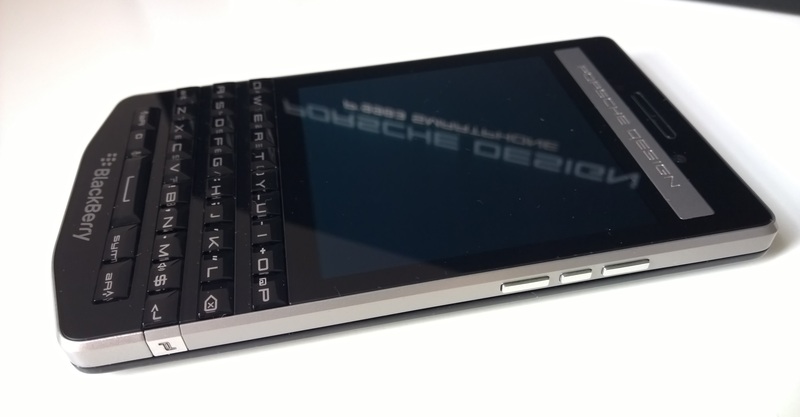 One thing that did surprise me is a complete lack of features designed specifically for this device – aside of the unique BBM PIN that identifies you as owning a Porsche Design handset. There’s also a special clock. That’s really about it. For most people, the option of spending £1,400 on a luxury smartphone just doesn’t exist, but that still leaves a huge number of people who could viably afford the device and that might actually be interested in buying such a thing. It certainly surprised me to hear that the first and second models before this have sold a total of more than 200,000 units, so clearly there’s a market out there for them. On first impressions, it’s perhaps a little too run-of-the-mill feeling – despite claims of luxury materials and Porsche branding, it somehow manages to not feel any more premium than, say, an HTC One (M8), or any other smartphone with a quality screen and metal chassis. It’s worth remembering though that for lots of people, the P’9983 wouldn’t even be their only or primary device – huge numbers of BlackBerry users own more than one type of handset. Whether through necessity or choice could be argued ad infinitum. I still feel BlackBerry could be making more of this partnership though; more bespoke features and services could give other BlackBerry device buyers something to aspire to. If you’re making a luxury device, it’s all about giving people something to really lust after. That said, it’s still a step up from last year’s model. Would I buy one? No, but then BlackBerry doesn’t really expect me to.